Drug addiction can begin with voluntary drug use. Sometimes users seek out recreational drugs for pleasure and immediately find them irresistible; however, in other cases, users begin taking slightly more of a prescription drug than recommended and an addiction develops over time. No matter how drug addiction begins, it can be taken for granted that addiction isn’t the intended result a user is seeking. But all too often, by the time drug addiction is apparent and needs to be treated, the user is no longer in control of his or her relationship with the substance. According to the National Institute on Drug Abuse (NIDA), using drugs actually causes changes in the brain that make it more difficult to quit. This is why drug detox programs exist – because addicts need assistance with the daunting process of detoxifying their bodies from the substance they have been misusing. There are often many physical considerations that need to be minded by a professional when a person is detoxing in addition to a well of mental, emotional and psychological factors that should be addressed. Drug addiction usually requires a multifaceted approach to recovery that is best handled by those experienced in drug detoxification. Before a person can initiate a drug detox program, it is important that he or she fully understand the many elements of drug addiction and drug detox. An addiction to drugs comes in many shapes and sizes, as do the addicts themselves. While the substances and people can vary, the impact that drug addiction has on the lives of users tends to remain the same. Drug addiction, no matter the specifics, has a way of unraveling a person’s life, leaving a user feeling as though he or she is spinning out of control and no longer able to orchestrate how life is unfolding. The misuse of and reliance on drugs can affect virtually every area of a user’s life. In many cases, an addict’s life at home, work and beyond is negatively impacted by drug addiction. A dependence on substances often stems from psychological issues that should be treated as a part of any detox and rehabilitation program. Each type of substance is different, and thus, how each substance will impact a user when abused varies. The signs and symptoms of drug addiction will differ depending on the substance, so it’s important that you understand the full spectrum of addictive substances if you or someone you love might be addicted to drugs and in need of drug detox. If you or someone you love might have a drug addiction, it is important that treatment is sought as soon as possible for the best recovery outcome. A person does not need to hit rock bottom before seeking treatment. Drug addiction is often characterized by a lack of control over substance use that gets worse over time. The longer the addiction remains untreated, the less control the user has over their addiction, including whether or not to use as well as when, where and how to use. This is why drug addiction should be treated sooner rather than later. Evaluation: The evaluation step takes place as soon as a patient begins the drug detoxification process. During this period of evaluation, a user will be tested so that the professionals working with the user are aware of any substances currently in the user’s system. This time will also allow clinicians to assess whether or not the user has any co-occurring issues. Identifying other issues that may be at play, like mental illness, will help the professionals who oversee the detoxification process to thoroughly address the patient’s drug addiction in the most effective and efficient way. Nearly one-third of people suffering from mental illness also struggle with substance abuse, according to the National Alliance on Mental Illness (NAMI). Stabilization: Stabilization is the process of drug detoxification that helps to guide the patient away from the addictive substance. This might involve tapering off the drug methodically, perhaps initiating medication that will be conducive to recovery, and handling the symptoms of withdrawal, which can be incredibly severe in some patients. This process can be intensive and its success hinges on the presence and guidance of medical professionals. Guiding the patient into treatment: The final step of the detoxification process helps the patient to become prepared for actual treatment and recovery. Detoxing the body of the addictive substance is only the beginning of a drug treatment program. In order for a user to achieve a full recovery, the patient must address the psychological factors of addiction alongside a licensed professional. NIDA reports that dropping out of a program is one of the biggest problems treatment programs face with their patients, so at Orlando Recovery Center, we place an emphasis on program completion. Oftentimes, a patient will enroll in our drug rehabilitation program after the drug detoxification process is complete. 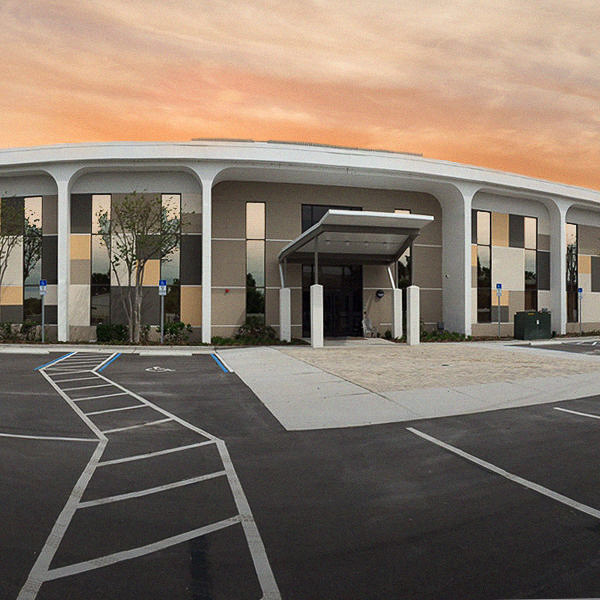 Orlando Recovery Center offers an inpatient medical facility that specializes in drug detoxification. We provide 24-hour medical care so patients who are detoxing at our facility are never alone. Our patients receive around-the-clock care from professionals who have been trained specifically in drug detoxification. With licensing from DCF, Orlando Recovery Center offers the latest in drug detoxification with methods that have been proven to work. Our care is based on current research that takes each patient’s specific needs and concerns into consideration. Our facility provides everything that our patients will need during their detox – from food to counseling to recreational options. We accept most types of insurance, so you or your loved one can focus all energy toward a successful detoxification process. We evaluate our patients as individuals. Because each person is different, with his or her own background, context and relationship with addiction, each individual case of drug addiction is different too. We help patients to detox through evaluating their specific addiction, helping to separate their bodies from the substance, and assessing the type of further treatment that will be needed in order to achieve a full recovery. We work with our patients to harness support from their friends, family and community while being sure to guide them in a direction that yields physical, mental and emotional health. Our staff members are experienced in supervising drug detoxification and monitor our patients closely for the most effective detox results. Drug addiction has a way of leaving addicts feeling hopeless and helpless, but there is hope in effective recovery services. One of the main obstacles standing between a user and recovery is physical dependence. At Orlando Recovery Center, we help our patients to overcome this difficult hurdle and guide them in a direction that will yield a fulfilling and drug-free life. We aim to liberate our patients from the imprisonment of drug addiction and steer them toward a healthy, balanced life. 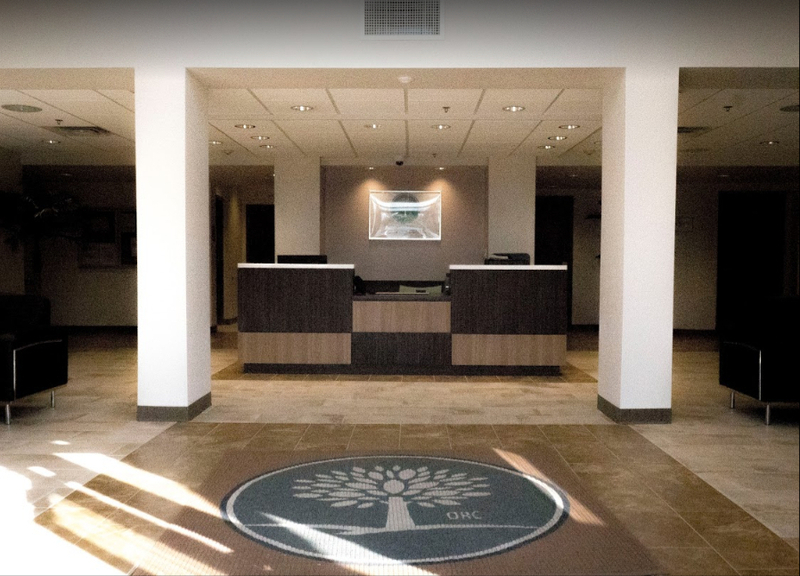 If you’re interested in learning more about Orlando Recovery Center and our treatment process, contact us today. We’d be happy to talk you through our approach to care, the methods we employ, the expertise of our staff members, and anything else you’d like to know. Substance abuse and addiction are prevalent in society. Across the country, 22 million people were abusing illicit substances in 2010, per The Chart, CNN. Alcoholism and alcohol-associated problems were a problem for an astounding 17 million Americans that same year, per eMedicineHealth. If you suspect addiction in yourself, the best gift you can give yourself is a second chance, and it starts with detox. Detox is the process of voluntarily withdrawing from a substance in an effort to remove toxins from the body and jumpstart the process of tackling addiction. While it is possible for some individuals to detox on their own, those who are seriously addicted are not likely to be successful or remain clean and sober even if they are. For most patients, detox lasts about a week; however, it varies depending on the specifics of the individual and their drug abuse history. Are there different types of detox? Yes. Medicated detox is now the most common method utilized and consists of administering prescribed medications to patients who are going through withdrawal. Common treatments include anticonvulsants for seizures incurred by alcoholics, benzodiazepines for anxiety inflicted by general withdrawal, and methadone or buprenorphine for withdrawing opiate addicts. Rapid detox is not advisable. The dangers of this form of detox include coma and death, and it brings no greater likelihood of staying clean. A holistic approach to detox is somewhat like the basic, non-medicated form, but it is inclusive of other avenues of achieving peace and relaxation while coping with the withdrawal process, like yoga and meditation. In 2005, the Substance Abuse and Mental Health Services Administration accounted for 62 percent of all detox admissions being people admitted for detox on an outpatient basis, with 50 percent of all detox patients having sought detox for alcohol abuse and 30 percent for opioids. Outpatient detox typically consists of the same intensive treatment one would receive while staying on site, but living at the facility isn’t a requirement. Inpatient detox is built on the very same foundation that outpatient is, but it is more intensive. Therapy — whether as a group or alone — is more concentrated. Certain individuals may respond better to and require inpatient detox, such as those suffering from severe mental illness or persons who have tried outpatient detox in the past and relapsed. What is detox from cocaine like? Unlike with other illicit drugs, there are no specific medicated approved to treat cocaine withdrawal. That being said, off-label use of medications like benzodiazepines and antidepressants do often aid in decreasing withdrawal symptoms like insomnia and lethargy. Other symptoms of detox from cocaine include an inability to feel joy or pleasure, tremors, and exhaustion. What is detox from heroin and prescription opioid pain relievers like? Detoxing from any opiate should always be done under medical supervision. Most often, programs allowing for the patient to slowly taper off an illicit substance are best. The most popularly prescribed medication for such programs is methadone, which boasts a 60 to 90 percent success rate, per the California Society of Addiction Medicine. The other medication used, buprenorphine, showed an 88 percent success rate in initial studies, according to The Fix. The detox process from heroin and prescription opioid painkillers can be quite intense. Detoxing patients can expect symptoms such as nausea, drowsiness, depressed breathing, and even serious side effects like coma and death, hence the need for professional, and often medicated, help. What is detox from alcohol like? Alcohol withdrawal can be quite uncomfortable; however, withdrawal symptoms can be mitigated with professional care. The withdrawal process from alcohol can be life-threatening for 5 percent of patients who develop delirium tremens, per Slate. Symptoms like tremors, vomiting, nausea, headache, anxiety, and depression are often present. Patients addicted to benzodiazepines can expect to experience diarrhea, intense headaches, depersonalization, mood swings, trouble breathing, paranoia, flu-like symptoms, and more. Fortunately, benzo addicts are best managed when slowly weaned off the drugs, and medication can be administered to alleviate discomfort. How do mental health disorders complicate detox? According to Helpguide, approximately 29 percent of all mentally ill individuals also struggle with substance abuse. Having comorbid disorders presents complications for detox including trouble differentiating which problem is causing which symptoms and overlapping concerns for medicating symptoms. Is detox a cure-all for addiction and substance abuse? No. Detox in and of itself is not comprehensive addiction treatment. A complete treatment program should follow detox. According to the Partnership for Drug-Free Kids, patients who seek follow-up treatment within a month of finishing detox take 40 percent longer to relapse into addiction than those who don’t seek such treatment, if they relapse at all.